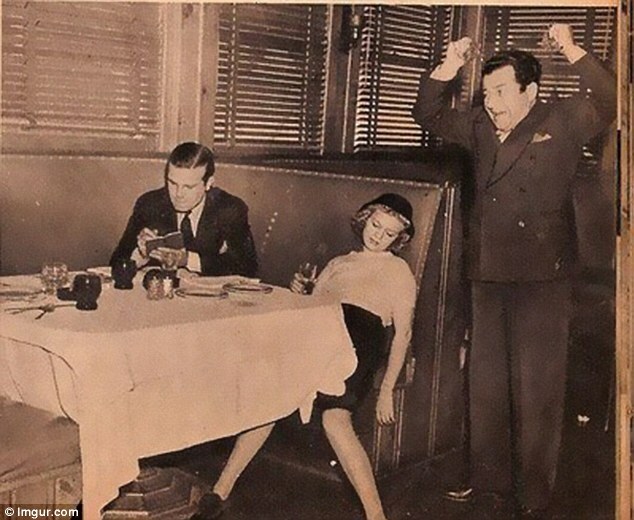 Dating and romance in the 1930’s, while all about “having fun,” was decidedly a more formal affair than it is today. However, the 1930’s saw a departure from the stiff Victorian and Edwardian systems in which a young man “called upon” a woman to whom he was attracted. 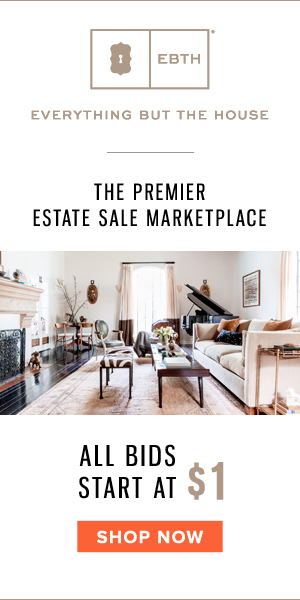 This involved him going to the girl’s house, sometimes by appointment, to sit with her in the presence of her parents or a designated chaperone in order to get to know her better. However, the devastation of WWI paired with other economic and social upheavals such as Prohibition, the women’s rights movement and the Great Depression brought a change in some of the more strict rules surrounding many societal norms, dating and courtship included. The concept of “calling upon” a girl by the upper classes began to give way to the “dating” practices of the middle and lower classes, which involved getting to know each other at a movie or a dance. The increasing popularity of the automobile also made it possible for young couples to get away from the confines of home and the pesky prying eyes of the chaperone. 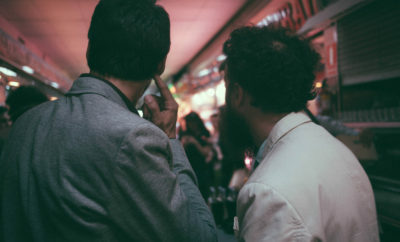 Dating became a more relaxed activity and the concept of “having fun” entering the equation, though the ultimate purpose in these endeavors was still to find a marriage partner. Going on dates to dances, soda shops, theaters, and restaurants – depending on what one could afford – became the norm. That being said, what was acceptable and expected was still very different from today’s standards, especially for (who would have guessed?) the woman. 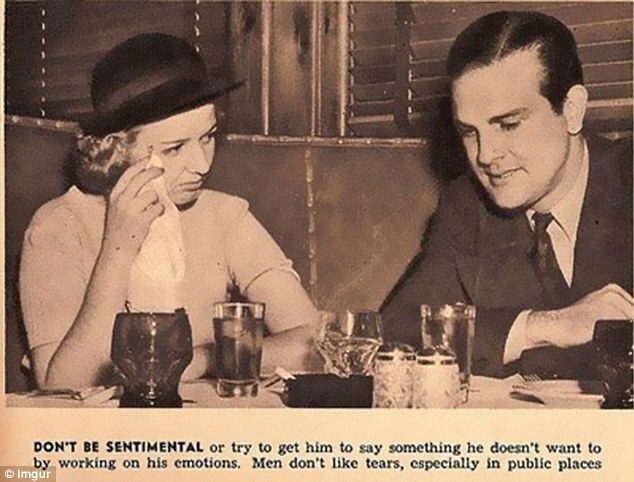 Men in the 1930’s were still supposed to be as chivalrous as they had been in previous decades. However, it was their responsibility to plan, execute and pay for the evening out. All of the usual niceties and behaviors were still expected as well, of course, such as offering the lady his handkerchief or his jacket if she shivered or even mentioned the weather in any way, getting the door for her, holding out his arm for her as they walked (lest she fall), and even by insisting on walking on the side nearest the street, clearly the more dangerous position. 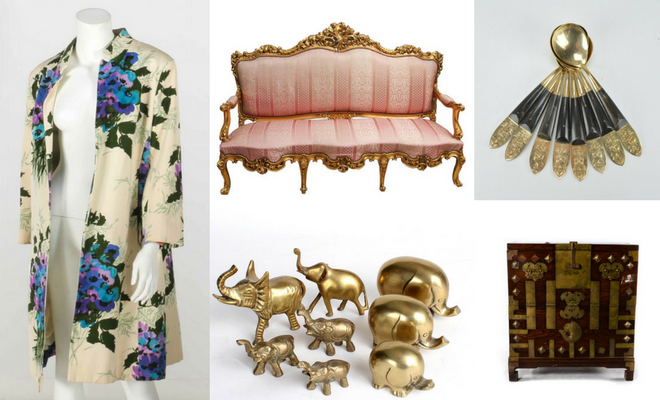 Men’s fashion at the time furthered the image of the man as the responsible protector. Suits were cut to suggest a large, upper body, with coat collars coming down to form an attractive “V-neck” and shoulder pads added to emphasize a masculine, square appearance. 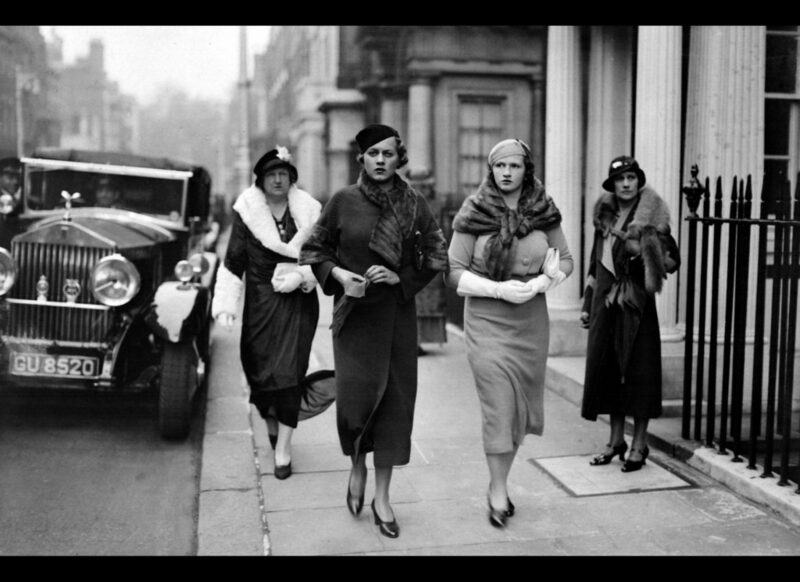 Women’s fashion, correspondingly, suggested a more lady-like appearance than the decade previous; the short boxy, androgynous dresses of the flappers giving way to a more curvy style that accentuated the female form. Softer fabrics and styles which hugged the figure, such as the bias cut, became the rage, as did the disk-like hats tilted to one side instead of the cloche hats that hid the forehead. 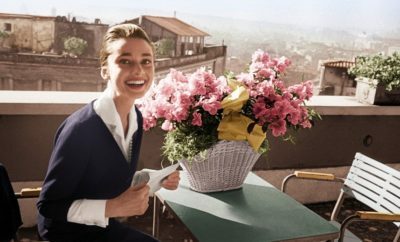 Hairstyles became softer and more feminine as well. 1. Don’t keep your date waiting. Finish all of your dressing in your boudoir, not in the hallway or front room while he is waiting. 2. 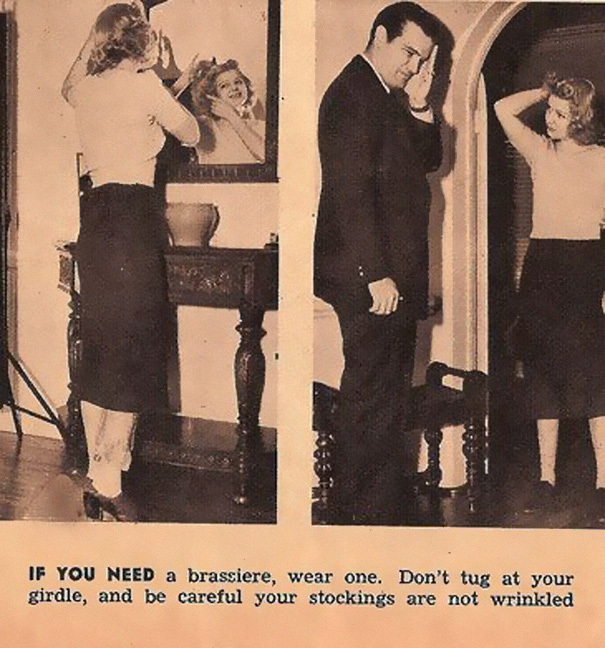 Don’t tug at your girdle; if you need a brassiere, wear one! And don’t wear wrinkled stockings. 3. Don’t use the car mirror to check your hair or make-up. 4. 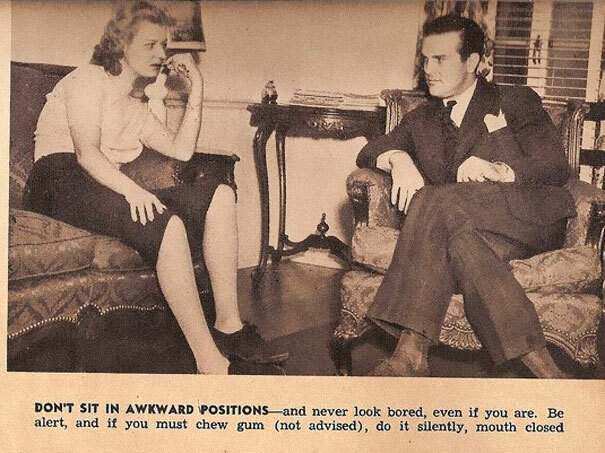 Don’t sit awkwardly or appear bored. 5. Don’t display vulgar habits, such as chewing gum. 6. 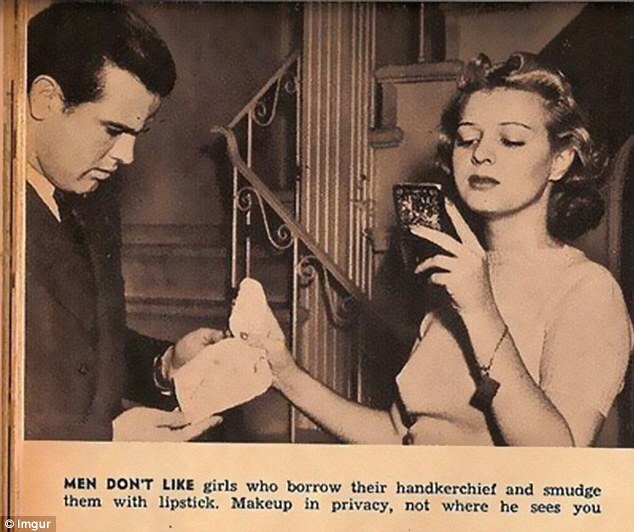 Don’t smudge his handkerchief with lipstick. 7. Don’t talk while dancing; it is distracting and annoying. 8. Don’t discuss your gown or clothing at all. 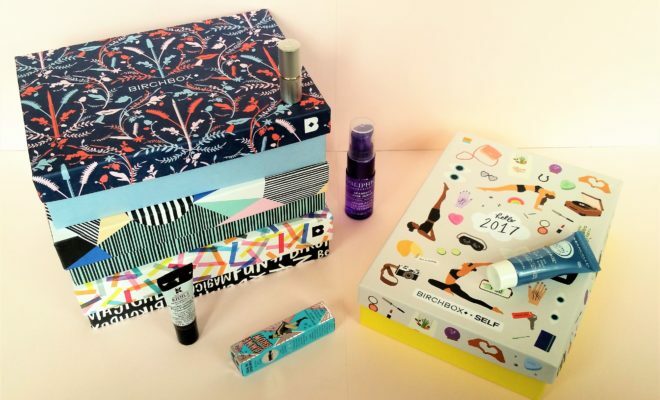 Conversation should flatter him; only talk about things that interest him – not fashion! 9. Don’t caress or touch your date in any way! No hand-holding in public, and do not allow his arm to be around your shoulders during a film. 10. Don’t cry or be sentimental or attempt to get him to talk about his feelings; this is distressing to him. 11. Don’t be “familiar” with the waiter or any other man besides your date; give him your undivided attention. 12. Don’t drink too much alcohol or be silly; this will humiliate him. 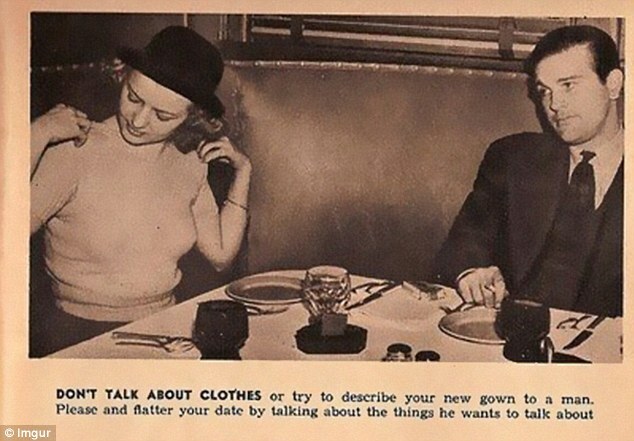 I don’t know about you, but we’re certainly glad we don’t have to abide by these 1930s dating tips for women. The 1930’s were definitely an interesting time in history. Caught between the World Wars, they had their own sense of time and place. 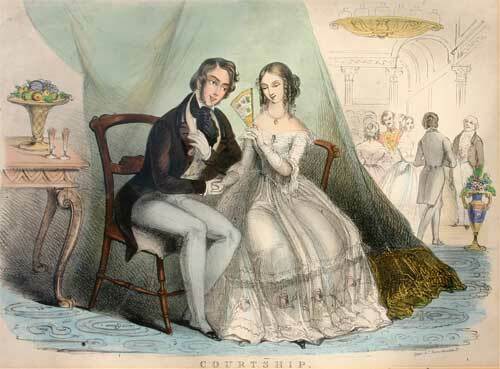 Gone were some of the more hierarchical rules surrounding courtship and romance, and, though certain societal expectations remained, a new sense of gaiety and fun was evolving. To modern eyes, however, the thirties still look charmingly old-fashioned, and, well, maybe even a bit quaint. For more insights into life (and love) in the 1930’s, check out A Girl Like You.